Launched in the UK in April 1992, the Super Nintendo Entertainment System (SNES) was Nintendo’s fourth generation system that was to replace the ageing NES. Because of the worldwide success of the NES the SNES was to followed suit, despite being launched with only a few games being available. 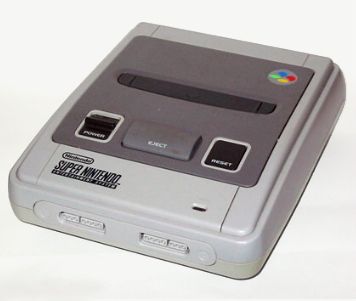 In Japan, the system was known as the Super Famicom (family computer) and was initially sold with only two games, Super Mario World and F-Zero. 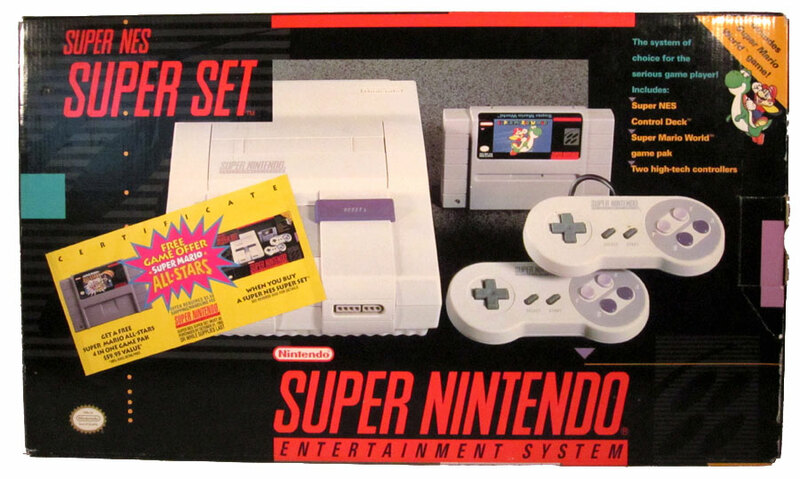 In North America, the console was shipped with Super Mario World, other initial titles included F-Zero, Pilotwings, SimCity and Gradius III. The SNES was a perfect step forward for Nintendo with the system introducing advanced graphics and sound capabilities compared with other consoles available at the time. Additionally, development of a variety of enhancement chips which could easily be integrated on the game circuit boards helping it to be very competitive in the marketplace via the onboard Super FX graphics acceleration co-processor powered GSU-1 chip. The SNES also had an ace up it sleeve being the first console to run three-dimensional video games (demonstrating the console’s “Mode 7” pseudo-3D rendering capability), Star Fox being the first game to show off this new feature. Here’s a great selection of top 50 Snes games that show how good the Snes really is! Another nice feature I find very clever was rather than include an expensive CPU that would probably become dated within a few years, the hardware designers created the system in such a way that it was easy to interface special co-processor chips to the console within the cartridges (just like the MMC chips used for most NES games). The easy way to tell these enhanced cartridges was by 16 additional pins on the cartridge card edge. While other companies were moving on to 32-bit systems, Nintendo proved that the SNES could still be a strong contender in the gaming market. In November 1994, Donkey Kong Country was released, a platform game featuring 3D models and textures pre-rendered on SGI workstations. With its detailed graphics, fluid animation and high-quality music, Donkey Kong Country rivaled the aesthetic quality of games that were being released on newer 32-bit CD-based consoles. In the last 45 days of 1994, the game sold 6.1 million units, making it the fastest-selling video game in history to that date. The game sent a message that early 32-bit systems had little to offer over the Super NES, and helped make way for the more advanced consoles on the horizon. 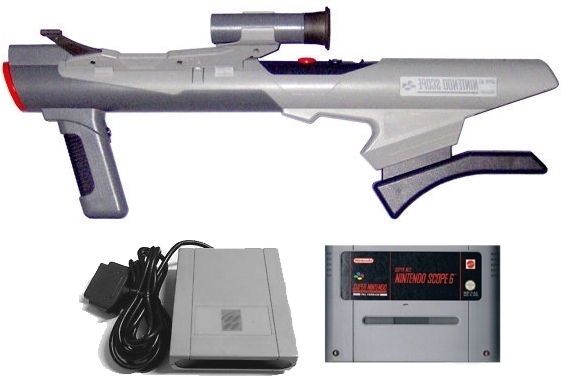 A number of peripherals were released throughout the course of its life, many of these devices were modeled after earlier add-ons for the NES: the Super Scope 6 is a light gun functionally similar to the NES Zapper although the Super Scope features wireless capabilities. Other devises that were soon released for the SNES were back-up devices such as ‘The Game Doctor’, the Super Wildcard and the Super Pro Fighter Q. These devises were basically to create a back-up of the cartridge the the event that it would break down, however users soon got to realize that these devises could be used to create copies of original games which was highly illegal at the time. The Super Game Boy adapter cartridge allows games designed for Nintendo’s portable Game Boy handheld system to be played on the SNES and a Super Nintendo Universal adaptor allowed PAL systems to play NTSC cartridges, I believe a version is also available to play Japanese games. Similar to the Sega Megadrive, a cartridge called the Super Everdrive is also created for the Snes. 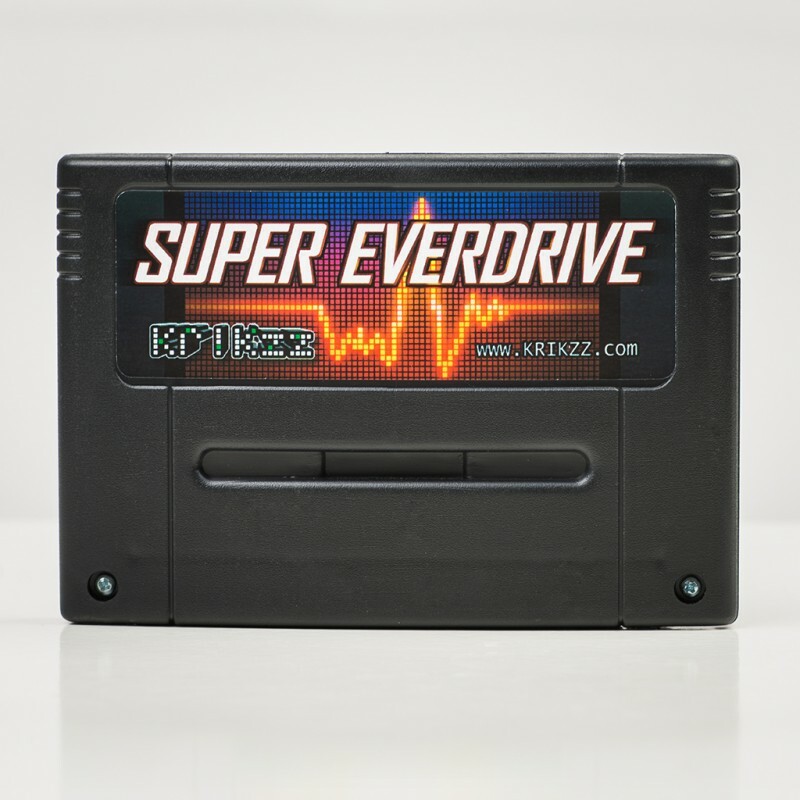 The SED v2 is the latest iteration of the Super Everdrive, a much loved flashcard which lets you play commerical games, translated and hacked versions of said titles and homebrew created by long-time SNES fans. 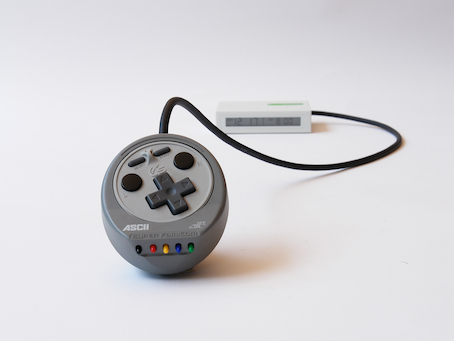 The standard SNES controller was quite revolutionary and became a benchmark for future consoles including the PlayStation, Dreamcast, Xbox, and Wii Classic Controller. The controller had in addition two extra face buttons added to the design of the NES iteration, arranging the four in a diamond shape, and introduced two shoulder buttons. Discontinued on September 25, 2003, the SNES had sold 49.10 million units worldwide, with 23.35 million of those units sold in the Americas and 17.17 million in Japan. Although the SNES never topped the NES sales it become the best-selling console of the 16-bit era and remained very popular well into the 32-bit era. NEC launched the TurboGrafx-16 in 1987, and Sega followed suit with the Sega Genesis/Mega Drive in 1988. Same as the NES, the SNES also sometimes suffers from the problem of when the cartridge is inserted and the unit switched on, the game does not work and normally all you get is a black screen. The system was known for the 72 pin connector in the console to sometimes fail and needed to be replaced. The old trick of blowing on the bottom of the cartridge normally works, but if not, I find that with a cotton wool bud and small amount of WD-40 applied, can be used gently clean the pins on the cartridge, nine times out of ten this will do the trick.